It's not good, it's not bad, it's Prestige. 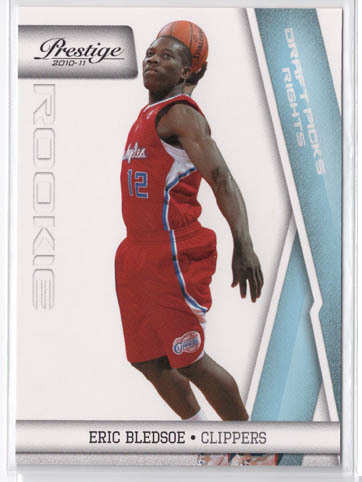 The biggest problem I have with Prestige is that no matter the sport the value declines with each new release that follows it, making it more of a novelty than collectible product. 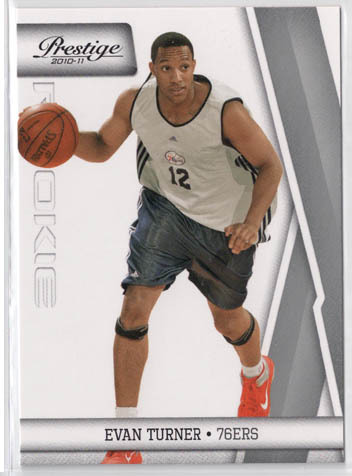 If you're excited to get the 2010-11 NBA rookie class and LeBron wearing a Heat jersey in your hands as soon as possible, then by all means grab a box of Prestige. 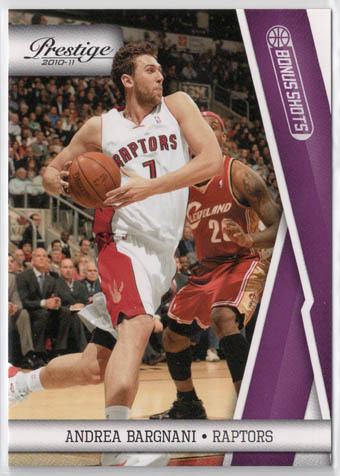 2010-11 Prestige is far from a terrible product, just don't expect it to re-invent the basketball card. If it's broke, don't fix it tends to be the motto of Prestige. 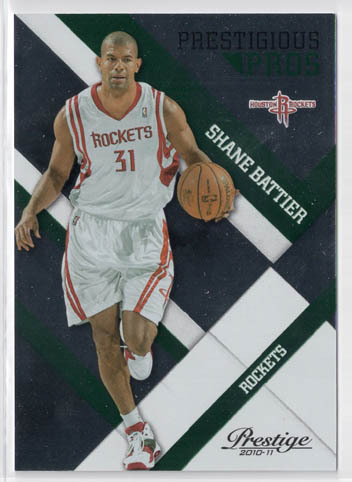 The base card design lacks flare, the inserts are adroginous, and the sticker drop autographs can look pretty bad at times. 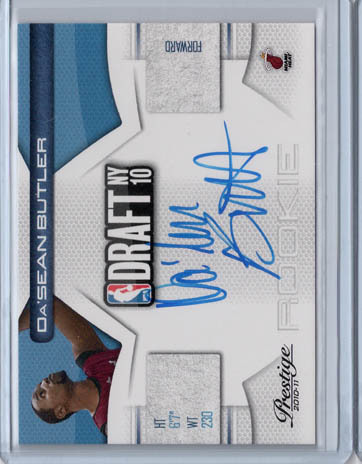 The on-card NBA Draft Class Autographs and Manufactured Patch Rookie Autographs look solid as usual. Solid Checklist from top to bottom. 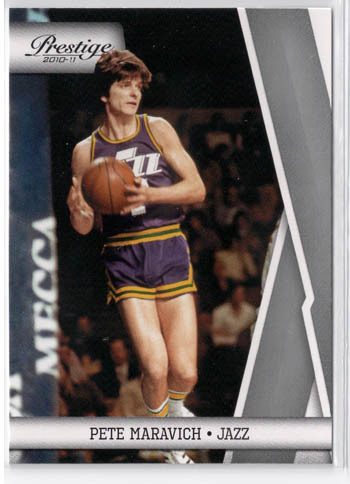 Past legends like Pete Maravich, Magic Johnson, and Larry Bird make for a nice compliment to the Rookie stacked base set. 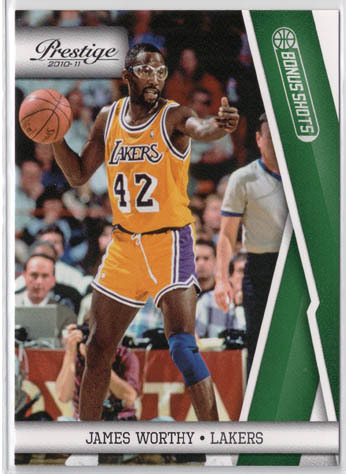 Another fun aspect of the checklist is trying to anticipate which rookie cards are short printed, I wish they would have short printed some of the legends to strengthen the overall appeal of the base set. 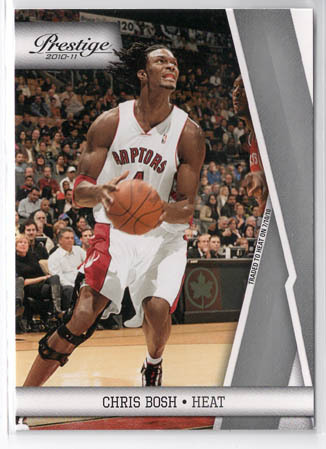 Another bonus is the presence of LeBron James' first non-promotional Miami Heat cards, although it was disappointing that Chris Bosh wears a Raptors jersey in his card. Prestige is a hard product to rate when it comes to value. 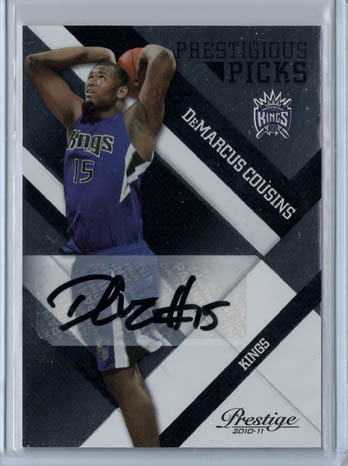 Right now, the value is pretty decent per box, as Prestige gives collectors the first chance to grab autographs of big name rookies like John Wall, Evan Turner, DeMarcus Cousins, Derrick Favors, and Wesley Johnson. 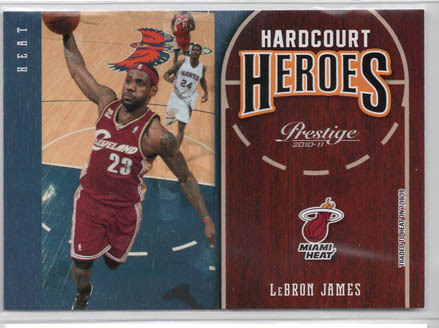 On top of that, LeBron's first pack pulled Miami Heat cards make this year's Prestige a more appealing product than last seasons. 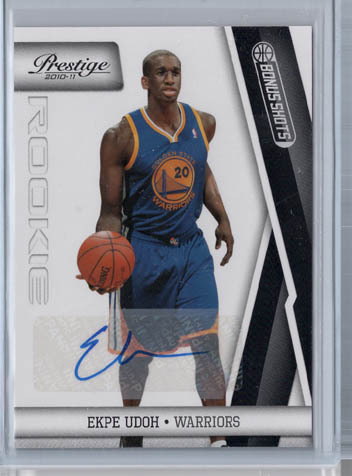 As I noted above, the value of Prestige steadily declines as better products like Rookies & Stars and Contenders hit the market. 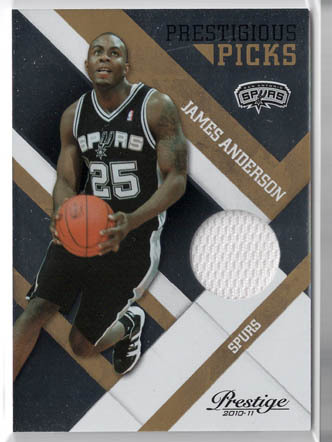 I would have liked to see them shoot for 50 base set Short Prints and SP a handful of Legends and players with new teams like LeBron James, Chris Bosh, and Amare, as it would have added substantial value to the product. Prestige is fairly enjoyable due to the timing rather than the quality of the product. It's a novelty that can be pretty fun when ripped in moderation. 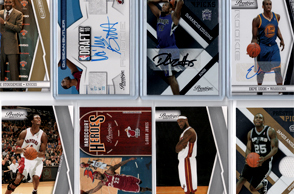 The presence of LeBron James in a Heat Jersey, John Wall's first pack pulled cards, Short Printed base Rookies, and 3-4 hits per box add up to a pretty decent time. 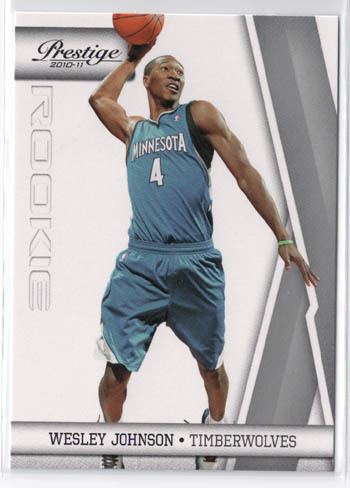 2010-11 Panini Prestige Factory Sealed Basketball Hobby Box John Wall RC ? What a boring product. 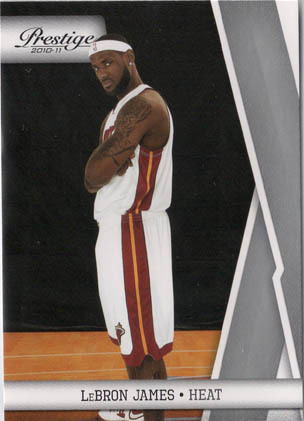 Why does the first card shown of Lebron James say “Traded to the Heat” in tiny letters when he went as a free agent? There is no polish to this product at all. I agree, Prestige is always boring no matter what sport. 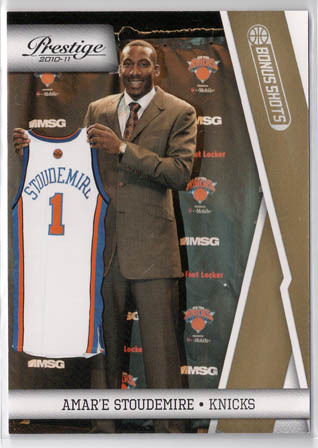 It says traded because in the end his rights were traded so the Cavs ended up getting draft picks for him. They don’t really talk about it but that is what happen so the card is correct.